Game Informer recently spied a teaser website for Earth Defense Force 4. The site offers no details, so we don't know what platforms will carry the game, if it will come to the U.S., or if it even supports co-op. So why are we covering it? The last two games in the franchise were cheesy awesome fun, and they both support co-op, that's why. 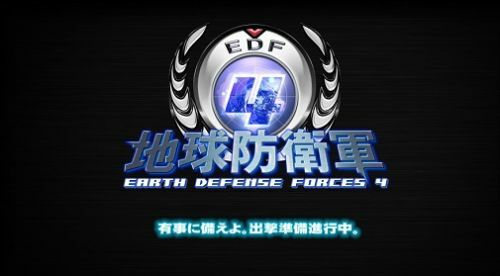 I hope EDF 4 will have the large number of levels and environmental variety of Earth Defense Force 2017, coupled with the armor classes of Earth Defense Force: Insect Armageddon. Toss in some nice combo co-op, a billion alien bugs, thousands of walking mechanical nightmares, a few hundred massive bosses, and call it good. We'll be sure to let you know any and all information as it become available. Go ahead and do the cheer. You know you want to. Page created in 0.2538 seconds.